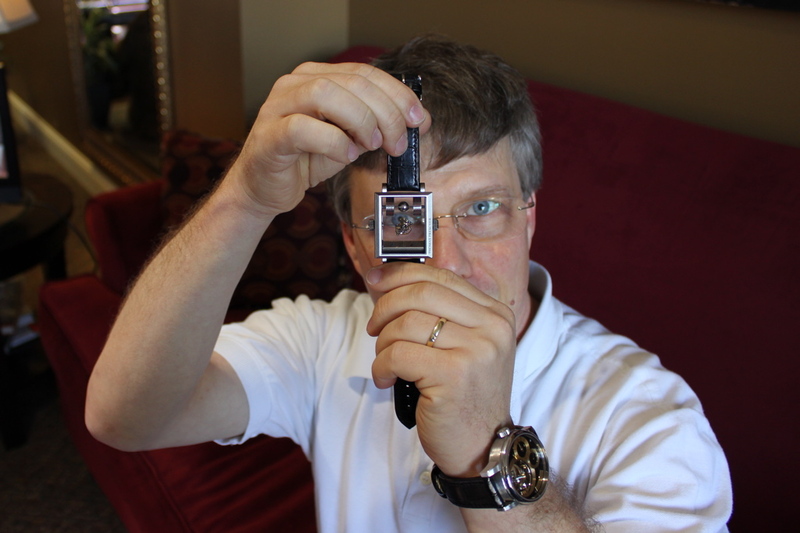 I recently spent an afternoon with Thomas Prescher, the AHCI master watchmaker who invented the double- and triple-axis tourbillon wristwatch with constant force carriage. 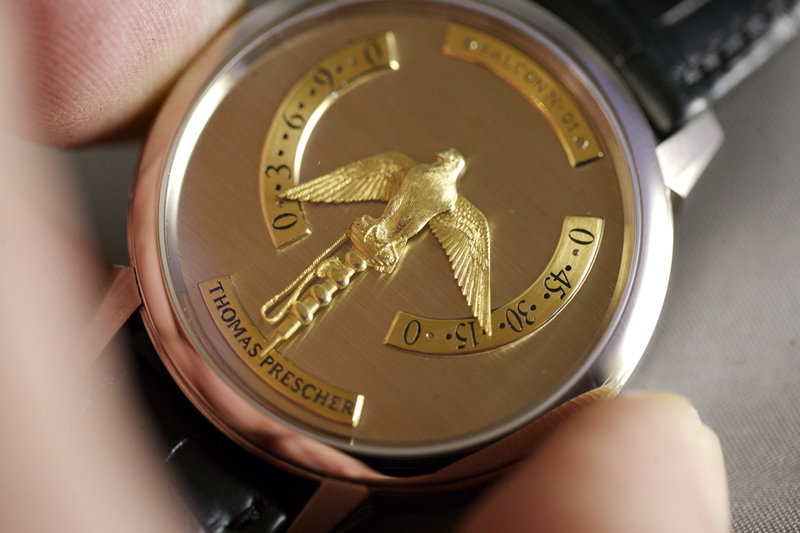 Thomas handcrafts less than 20 timepieces per year in his Thomas Prescher Haute Horlogerie workshop in Twann, Switzerland. 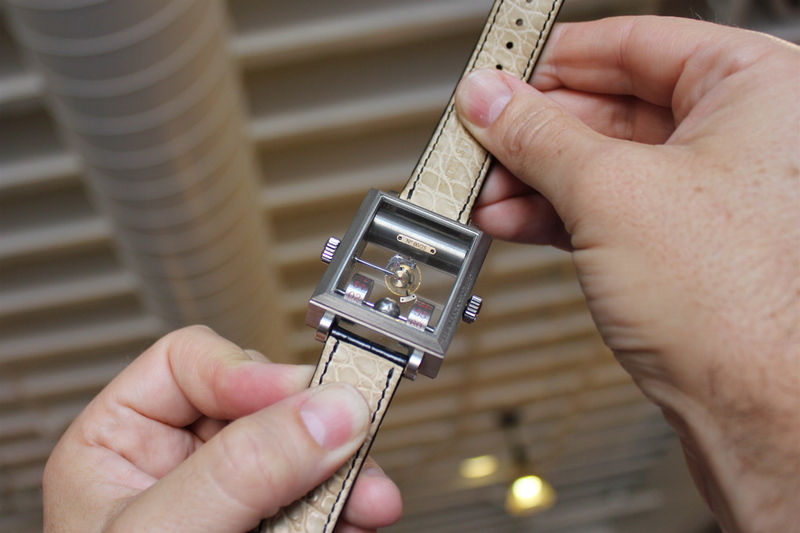 For Thomas, his timepieces are mechanical sculptures that redefine art. We engaged in hours of thoughtful conversation about his background, philosophy, art, German beer and sausages, and his latest Time Capsule Project. 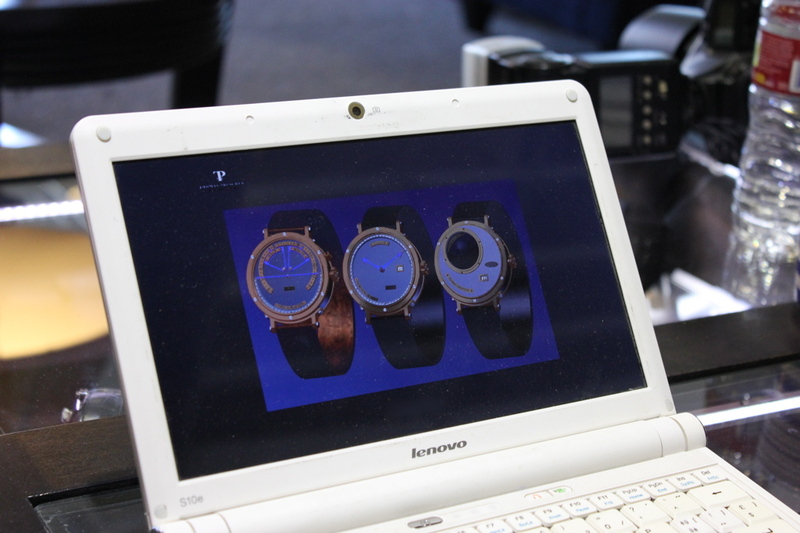 Then, Thomas overwhelmed me with the following eight masterpieces: his latest Nemo Sailor, three Tempusvivendi timepieces, double- and triple-axis tourbillons, and his world-first Mysterieuse Double-Axis Tourbillon. 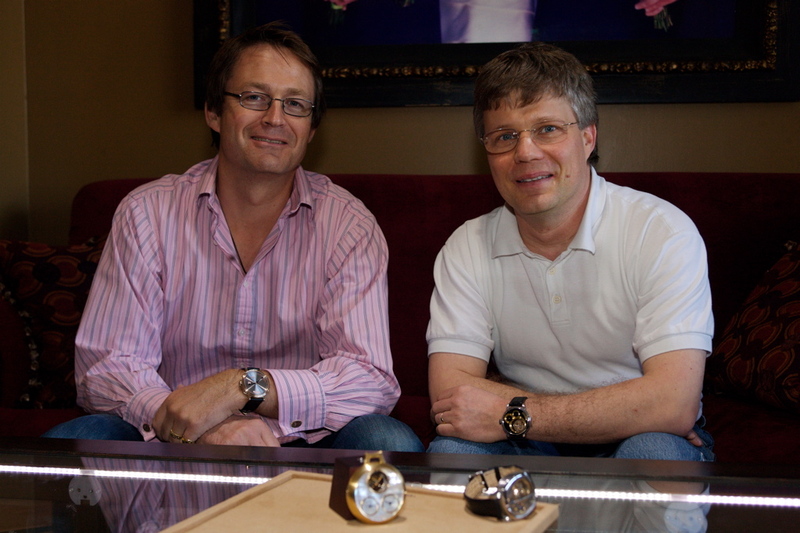 Thomas Prescher is not only a genius and exceptionally skilled, his entire life experience is creatively expressed through his timepieces. While helping his son with a homework project, they researched King Tutankhamen, Giussepe Verdi's opera "Aida", the Art Nouveau period and Jules Verne. Inspired by this research, Thomas decided to catalogue his creative process in an online series entitled, the "Time Capsule Project". Thomas regularly updates his website (www.prescher.ch) with whimsical narrations and pictures. Seeing antique ship valves, Thomas would imagine and craft a watch crown; seeing an Art Nouveau stained-glass window, Thomas would imagine and craft a movement rotor; seeing a ship porthole, Thomas would imagine and craft a dial bezel; seeing a leaf, Thomas would imagine and craft hands, and so on. Ultimately, the Time Capsule Project realized the Nemo Triptycron, three timepieces that could have been worn by Captain Nemo's crew: the Sailor, the Officer and the Captain. Thomas literally completed the first of the Nemo Triptycron series the day before we met. 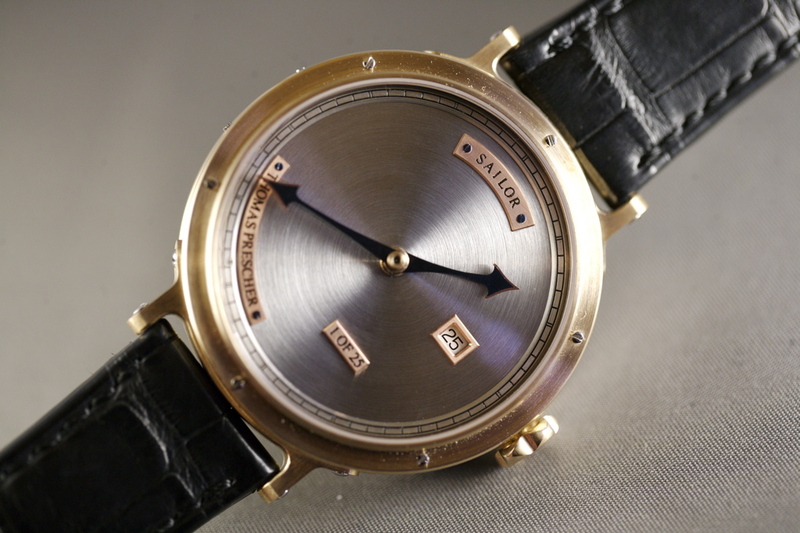 The Sailor is how Thomas Prescher interprets steampunk, nautical and Jules Verne influences in a fine timepiece. Every detail is thoughtful and lavishly hand-finished to the highest standard. 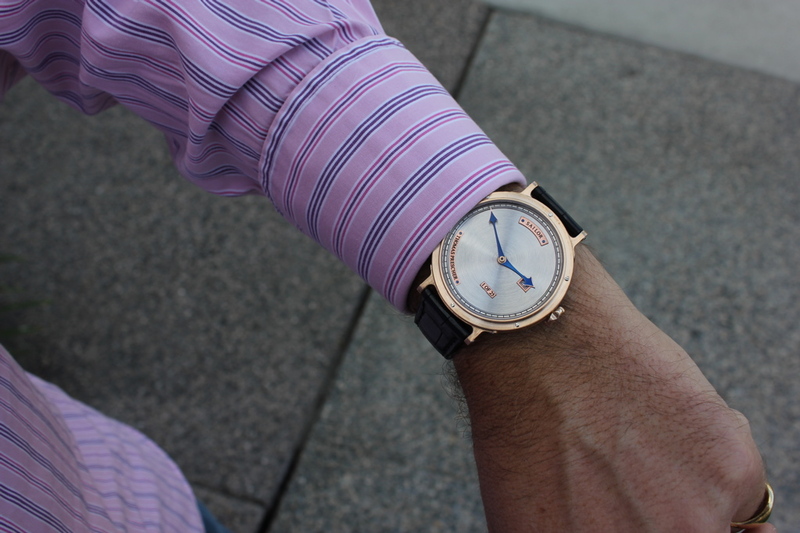 The Nemo Sailor officially launches at Baselworld 2012. Next, in the series follows the Nemo Officer. The Officer will be a Tempusvivendi; however, it may integrate a surprise new mechanism. Finally, the chef d'oeuvre of the Nemo Triptycron series is the Nemo Captain. 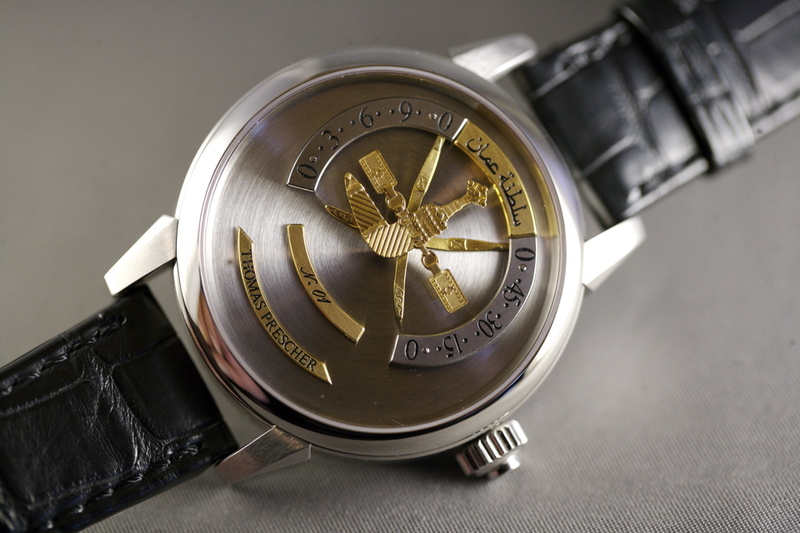 The Captain is a Triple Axis Tourbillon housed within an entirely new case. 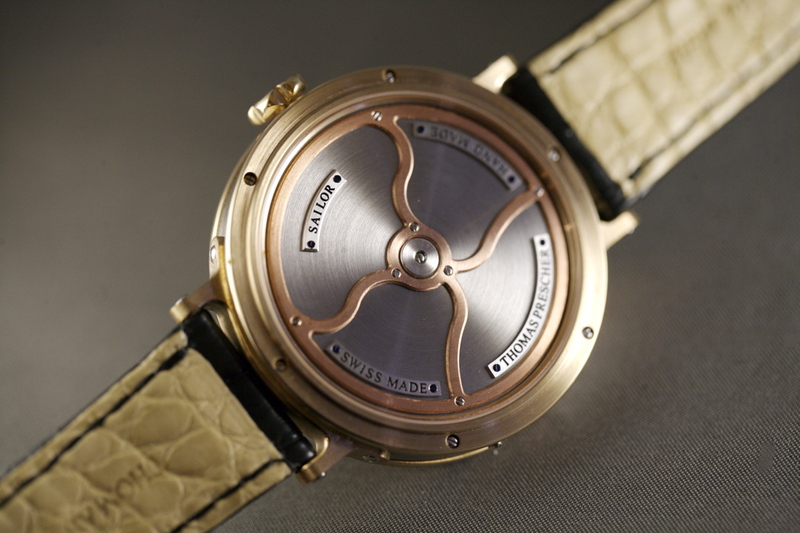 The movement is housed in a thin ~9 mm caseband and the triple-axis tourbillon is fitted under a three-dimensional dome for an unencumbered view. TimeZone is give an exciting sneak peek at the CAD renderings of the entire Nemo Triptycron series. 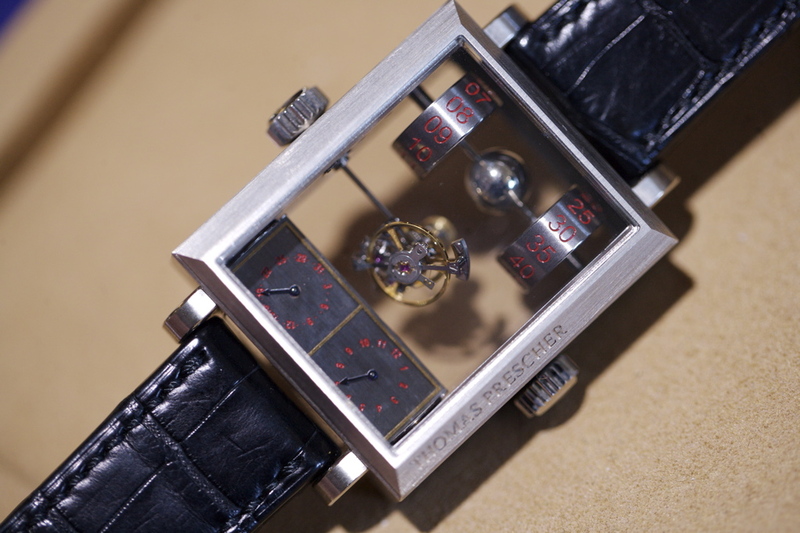 In following his Time Capsule Project theme, Thomas explained that his next two timepieces will reflect inspirations from different time periods. 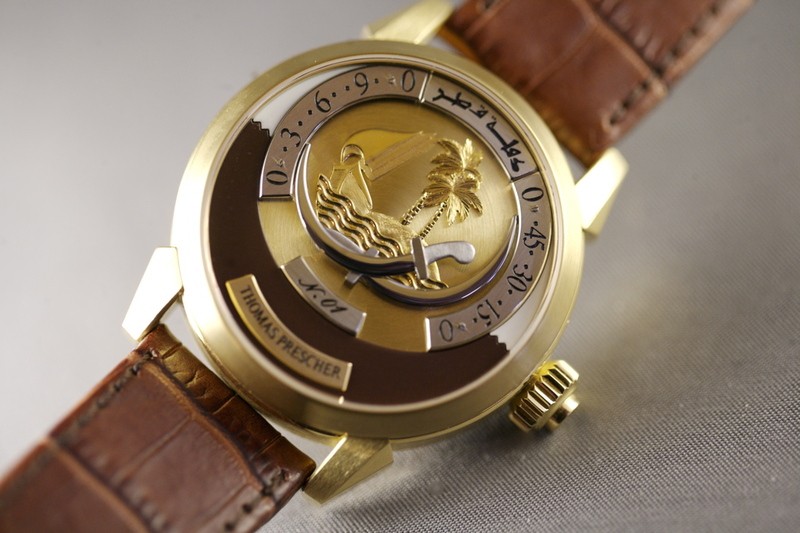 Next, Thomas shared three of his Tempusvivendi creations: the Falcon, the Qatar and the Oman. The collection name Tempus vivendi literally means, "living time", and is a play on the Latin phrase ars vivendi or "the art of living". 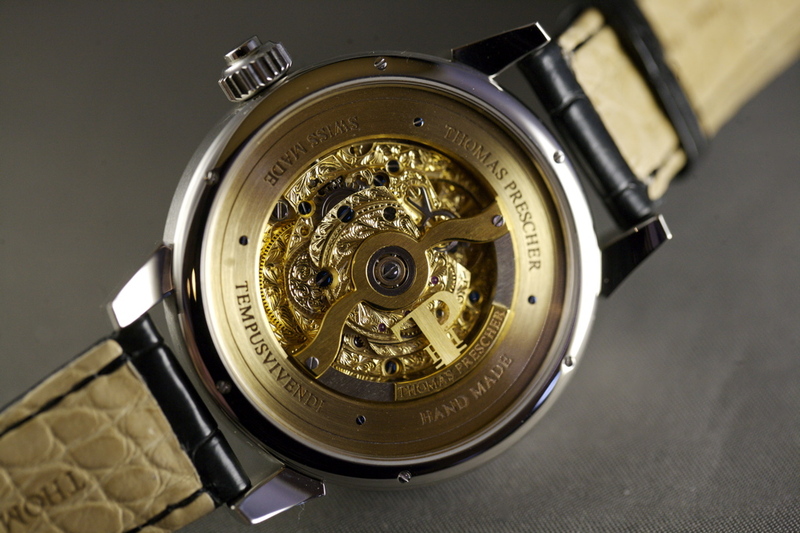 The Tempusvivendi mechanism is rooted in an 18th century mechanism known as the bras en l'air ("arms in the air"). 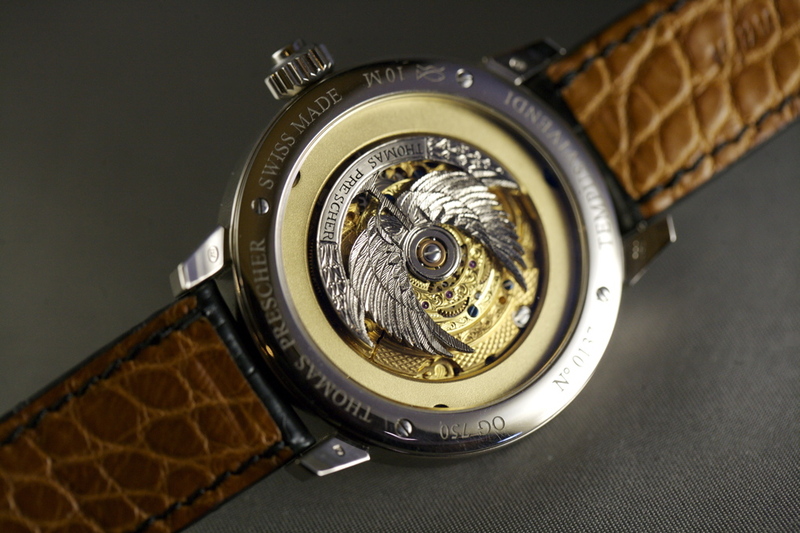 More than 10 years ago, Thomas Prescher refined the bras en l'air concept by developing an ingenious double retrograde system. Pressing the single-pusher that protrudes from the crown engages the gear system to instantly display the time; pressing the pusher again results in hands that instantly raise up to position. Meanwhile, time continues to run within the heart of the movement even with the hands raised. This double retrograde system is paired with a jumping indication of the hours and a continuously running indication of the minutes. 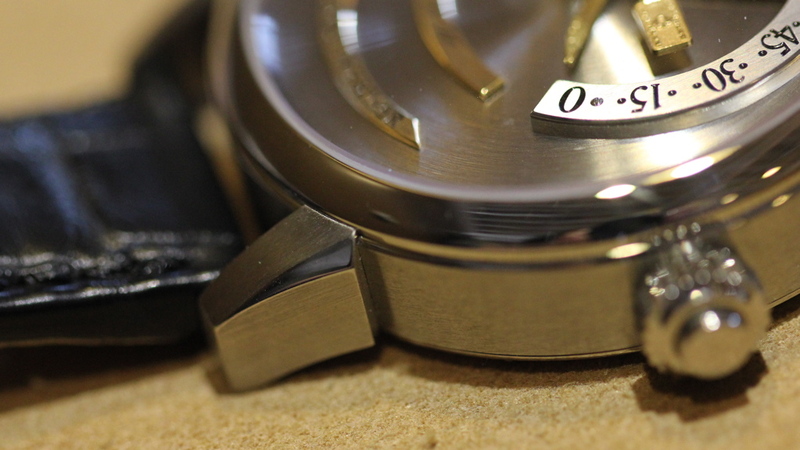 Thomas fits his double retrograde system on an entirely hand-finished ETA 2824 base calibre. When asked about his choice of a 2824 base, Thomas states, "They have been well-tested, millions have been produced and proven to work time and again. They can also be worked on by any watchmaker in the world, which is important to me because it answers the question, 'Who can service my watches after I die?'" There's a German phrase gründlichkeit ("thoroughness"). 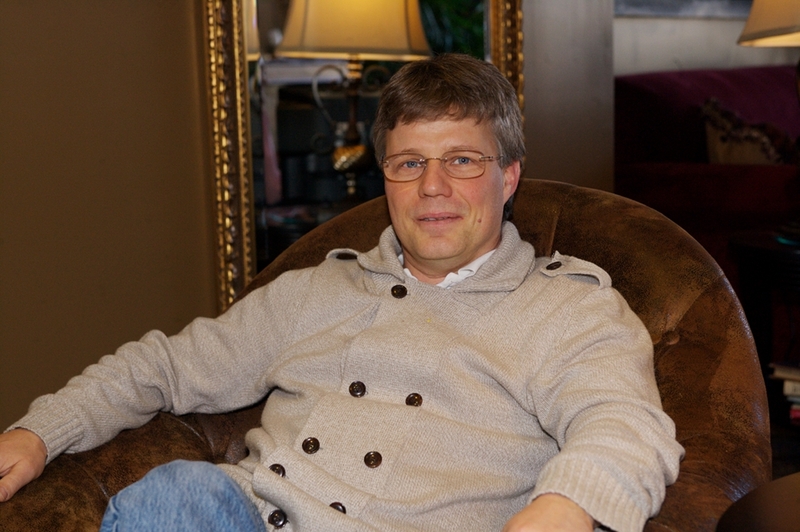 Although Thomas now lives in Switzerland and has been in Switzerland for years, he was born and raised in Germany and even served in the German Navy as a young man. With this background, I can't help but notice that everything about Thomas Prescher's timepieces, from conception, design and execution, are a prime example of German gründlichkeit. Thomas personally fabricates every case, dial and even the hands in his workshop. His workshop equipment includes CAD and CNC machines, as well as a milling machine, a turning machine, galvanic equipment, ovens to heat the paint of his dials and heat-blue hands, polishing machines and countless tools. Thomas Prescher fabricates each case and the immaculate hand-finishing on the lugs demonstrate his exacting attention to detail. 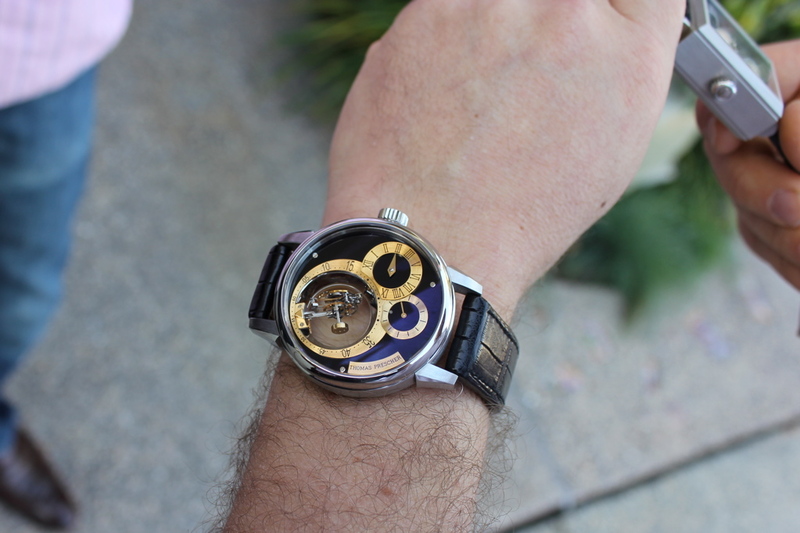 Then, Thomas explained the difference between his double- and triple-axis tourbillons. In a double axis tourbillon, the second axis revolves parallel to the dial, influencing the rate positively when the watch or clock is positioned with the dial up or down. Thus, this mechanism has an advantageous influence on the rate of all six positions. 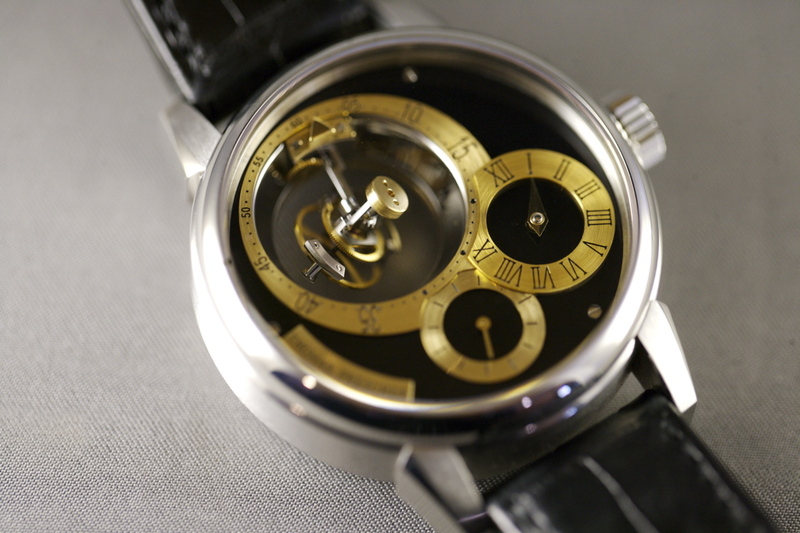 Thomas Prescher invented the first double axis tourbillon wristwatch with constant force mechanism in the carriage. The Double Axis Tourbillon Calibre TP 3W6A.2 is a flying tourbillon construction that is entirely designed and handmade in-house. 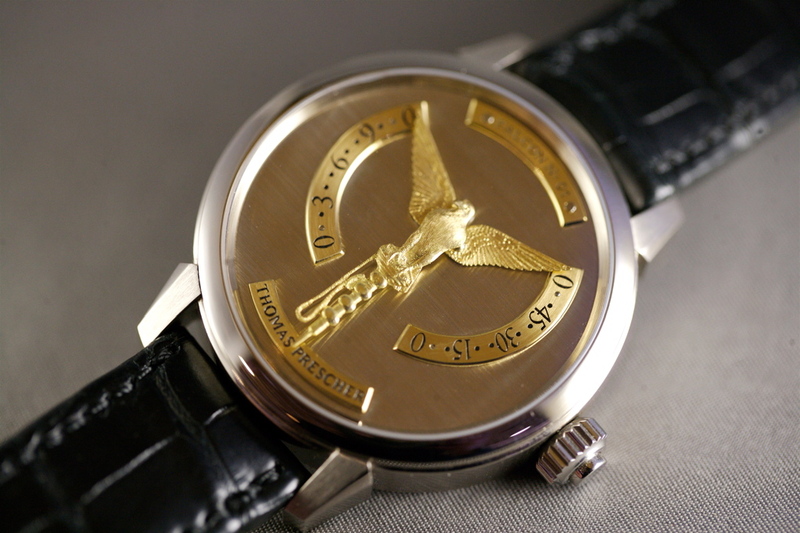 In a triple axis tourbillon, all the axes are flying. 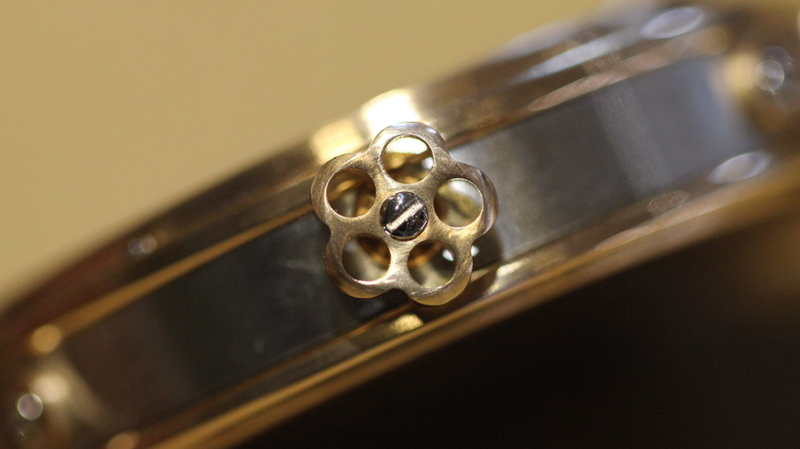 The first is the flying balance axis (1 minute), the second axis is the flying arm (1 minute) and the third is the ball-bearing axis for the flying tourbillon carriage which is synchronised with the minute hand (1 hour). The meaning of such a complicated timepiece is much more art for art's sake than the search for any improvement of a rate. The spiral-shaped tourbillon appears to hover in the air on its three flying axes - a kinetic sculpture of time. 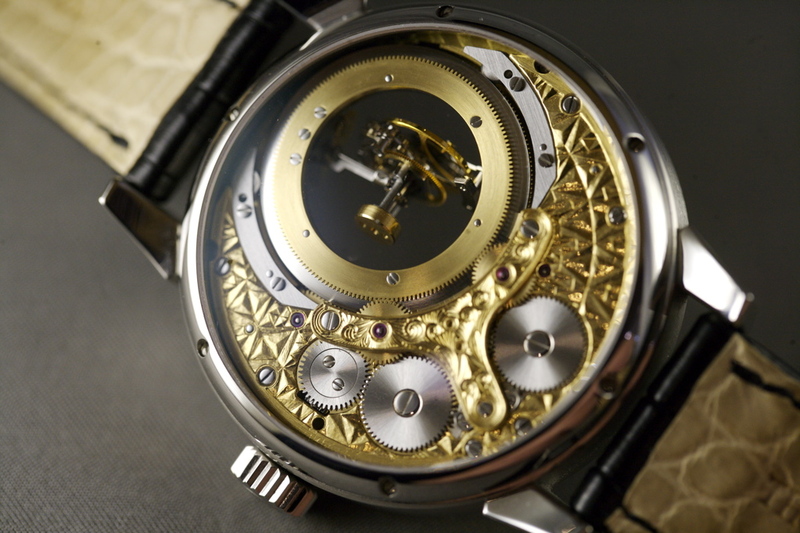 The Triple Axis Tourbillon Calibre TP 3W6A.3 is a 57 jewel movement designed and constructed entirely in-house. Finally, a world's first automatic Mysterieuse Double Axis Tourbillon with the oscillating weight down within the calendar day and month, and the hours and minutes barrel suspended on a rod with a three-dimensional moon in-between.